Our passion is not just alpacas, but the amazing products we can make from their fiber. It’s our pleasure to create and sell locally grown, eco friendly, & sustainable one-of-a-kind products created with their luxurious fiber. What is the "Paca Zone"? 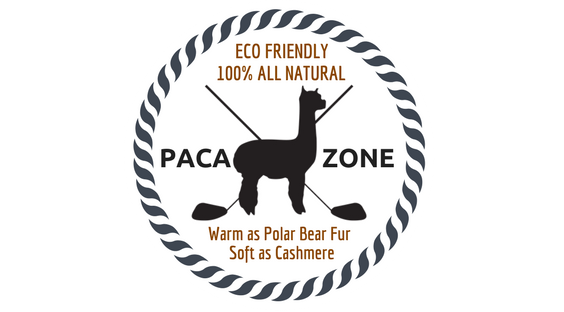 The Paca Zone is the online version of the Apple Mountain Alpaca farm store. Our experience has been that once you have Alpaca in your life, you’ll be living “in the zone”. It’s the most luxurious fiber, completely eco-friendly, and ultra-sustainable. You might notice the golf clubs in some of our logos. That’s because our farm is situated on the first hole of the Apple Mountain Golf Course, in the North Georgia Mountains. We hope you enjoy your visit to the Paca Zone as much as we enjoy this alpaca lifestyle. We’re a small family farm where everyone (including the animals) lives life to the fullest, and wants to help you do the same. From the first time we were introduced to alpacas, we knew instantly that this would be our next great family adventure, and we have not been disappointed. At this point we couldn’t imagine our life without alpacas or this amazing fiber they produce. They are the most beautiful, inquisitive, and peaceful animals you’ll ever meet and their fiber is one of the most luxurious natural fibers on the planet. Once you experience alpaca, life will never be the same. Alpaca and cashmere have an equivalent range of fiber fineness. However, each goat produces about 4 oz of cashmere (on average) per year, while alpacas are bred for 10+ lbs of fleece with 3x the fiber length of cashmere. Consequently, for any given garment there is a greater variation in cashmere fibers than in alpaca fibers. That variation causes the resulting cashmere products to have a handle (feel) that is not as soft as the comparable alpaca product. Adapting to the harsh climates of the Andes mountains, alpacas developed a hollow fiber that is uniquely thermo-regulating. Their medullated fiber has hollow air pockets to trap heat or keep cool. Alpaca fleece is designed to keep the alpaca warm in sub-zero evenings and 80 degree noon-time weather, often in the same day. The alpaca fiber is also excellent at wicking moisture, with a water retention rate of 8% vs. most other wool at 16%-20%. Alpacas could be the greenest animals on the planet. They are renowned for producing the world’s most sustainable luxury fiber. Through adaptation to one of the most extreme climates on the planet, alpacas need less food and water than other grazing animals. Their padded feet are not destructive to vegetation, and unlike other livestock, don’t rip it out of the ground. It takes 4 goat shearing’s to make one cashmere sweater, but one alpaca shearing can make 4 sweaters. Our luxurious alpaca fiber is lovingly grown in the North Georgia Mountains. The farm is modeled after ancient Peruvian traditions, but when you purchase from us, you’re supporting a local farmer and often purchasing hand crafted items. As an alpaca farmer, our renewable crop is alpaca fiber. It’s our pleasure to create and sell locally grown, eco friendly, & sustainable one-of-a-kind products. 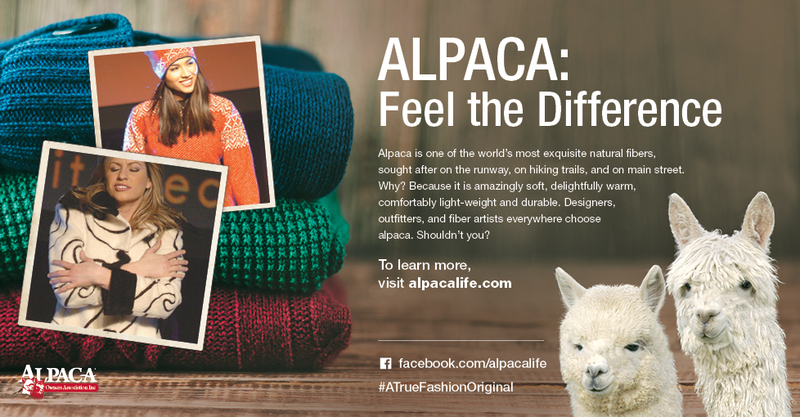 Alpacas fiber requires no chemicals or pesticides to produce, and the least amount of processing for use. Unlike sheep’s wool that is coated in lanolin and requires harsh chemicals to prepare for processing, alpaca fiber is simply washed in soapy water before being processed into felt or yarn. Alpaca fiber is naturally produced in a greater variety of natural colors than any other natural fiber. That means it doesn’t require additional dye to create stylish products. Apple Mountain Alpacas © 2018 All Rights Reserved.